For those unfamiliar with marathon canoe and kayak racing, it consists of racing over long distances on varying types of water. Wild Water Kayak Club has a long tradition of Marathon racing and has a history of illustrious members who have been very successful in domestic Marathon canoe and kayak racing over the years and a number of paddlers who have even made their mark on the international scene. 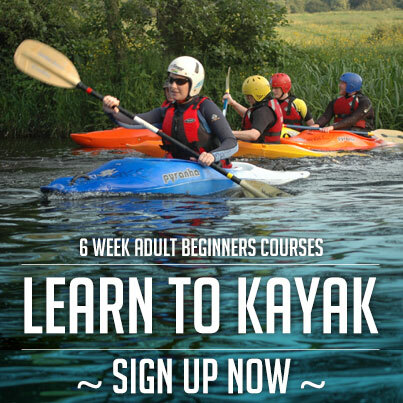 The Marathon paddlers at WWKC include those that you see training, usually on Tuesday and Thursday evenings, paddling laps from the clubhouse up to the Strawberry Hall and back in the summer. You know them, the ones with red faces and out of breath! They usually travel in packs, availing of the wash hanging or slip streaming effect of following behind a leading boat. The holy grail of a good wash or slipstream is truly something to be guarded and leads to the occasionally questionable tactic being employed between contenders for the one wash. Besides being a great way of keeping fit during the summer months, these training sessions are a fantastic way to forget about the stresses of work. Marathon Races can be broadly broken into two categories; rough water races and flat water races, although the distinction can sometimes become blurred. Rough water Marathon races take place over stretches of river, for example, the Lower Liffey Marathon, organised every August/September by Wild Water Kayak Club, usually from Celbridge down to Islandbridge. Another rough water Marathon race would be the Liffey Descent – probably the best-known marathon canoe and kayak race in Ireland. 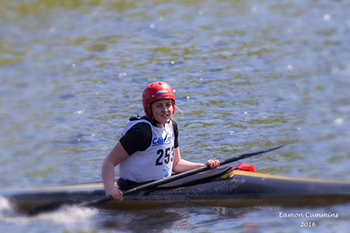 Flatwater races can take in stretches of river, canal, sea or lake. A classic example of this type of race would be the Carrick on Shannon marathon (a rather painful afternoon spent racing around 17 miles of lakes and canals of the river Shannon, starting and finishing at Carrick on Shannon). World Championship Marathon races take place over approximately 35 kilometres of flat water. Race distances vary from 5 miles for short course events at Irish Marathon races (long course Irish races can be up to 17 miles long) up to 125 miles for the gruelling Devizes to Westminister race in England, which takes place every Easter. The types of boats used depend upon the category of racing that we are talking about. This is a double racing Kayak (hence the K). These have a maximum length (about 23 feet long) and minimum weight. The classic K2 shape is a diamond with the widest point of the boat behind the back cockpit although the more recent boat types have done away with this wide point (the old rule about minimum width having been deleted from the rulebooks). Open denotes that the class is open to seniors (over 18) and juniors(under 18), and both men and women. These are raced by both men and women but in their own separate classes. They again have a maximum length and a minimum weight. The older ones have the classic diamond shape with the widest point behind the cockpit but the newer pencil type designs are as narrow as can be while still accommodating the human posterior. These include C1 (a single person with a single bladed paddle) and C2. These include all general purpose canoes which are made from composite materials. These consist of paddlers racing boats made from plastic. Now here is the complicated part – Wavehoppers, which are made of plastic and are scaled down replica’s of Wild Water Racing boats usually have to enter K1 classes. And depending upon the race Wild Water boats enter into K1 classes or occasionally their own separate category. Open singles and General Purpose classes are usually not raced abroad but remain reasonably strong in Ireland and provide a great stepping stone for people who want to experience Marathon racing before taking the plunge (often quite literally) in the very unstable K1 or K2 classes. These are raced abroad at specialist events but have not been raced in Ireland for years. Races in Ireland are broken down into a long course which caters for the following classes, racing over distances ranging from 7 to 17 miles usually. The recipe for success in Marathon racing includes high levels of fitness, strength, endurance and speed. These physical skills and attributes must be allied to good racing tactical sense and good boat control in order to turn potential into race-winning success. 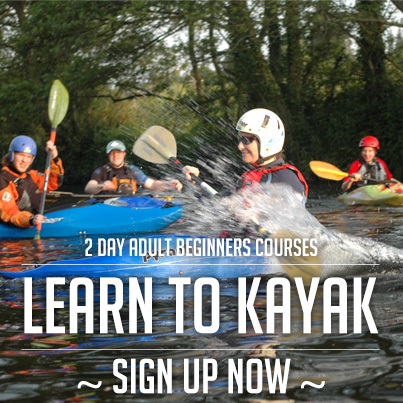 But for everyone involved there is a personal challenge, whether it be to complete the course (remember your first Liffey descent) or to get promoted to the next higher division – it is a perfect discipline in which to strive to improve since there are challenges all along the way, whatever your level. At the moment our leading paddler in Marathon (and Sprint racing) is Kevin Pierse. He trains on average more than once a day and has represented Ireland on many occasions both in K1 and K2 with Jim Morrissey from Galway. He is our only International Marathon paddler at the moment. There are several other very active Marathon paddlers at the club at present who compete in most of the domestic events at all levels. Marathon canoeing in the club is like all disciplines in that it suffers from a lack of young paddlers coming up through the ranks. However, it is hoped that this often cyclical situation will be reversed over the next few years. For further information on Marathon racing, check out the club noticeboard for upcoming events, contact Martin McCarthy at 01 – 623 5281 or simply ask one of the people paddling a K-boat next time you’re down the club. People train at varying times but there is a beginners session on Mondays and a ‘come and try it’ session on Wednesdays starting at about 6.30PM to 8 PM and all are welcome to join in. For experienced marathon paddlers, the evening training sessions are Tuesdays and Thursday from 6.30PM and weekend sessions from 11AM.